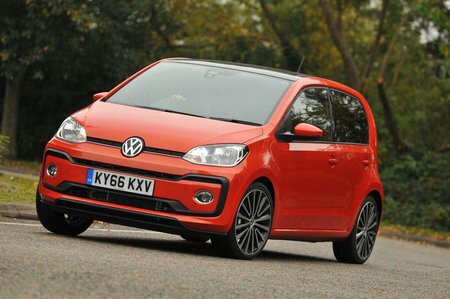 Volkswagen Up 1.0 Move Up 3dr [Start Stop] 2019 Review | What Car? What Car? will save you at least £466, but our approved dealers could save you even more. Move Up models get electric front windows, a USB socket, a full-sized spare wheel, split-folding rear seats and a height-adjustable boot floor. We reckon this trim makes more sense than Take Up, although we’d still recommend going for High Up trim if you can afford it. Move Up trim is available only with the 59bhp entry-level engine. The least powerful of the 1.0-litre petrol engines is officially slightly more economical than the 75 (74bhp) version, but acceleration is decidedly tardy. It’s available with a manual or automatic gearbox and, in economy-boosting stop-start (S/S) form, has sub-100g/km CO2 emissions.